Sections on Making Homemade Sausage, Making Sourdough Bread and Pancakes, and a Special Section on Hillbilly Cookin'! Many say this is his finest cookbook. It includes expanded sections for Sourdough Baking, making Homemade Sausage, Some Hillbilly Cookin' and More Tall Tales. If you have one of Cee Dub's Dutch oven Cookbooks ... you need the rest, and if you have none ... you need all four! 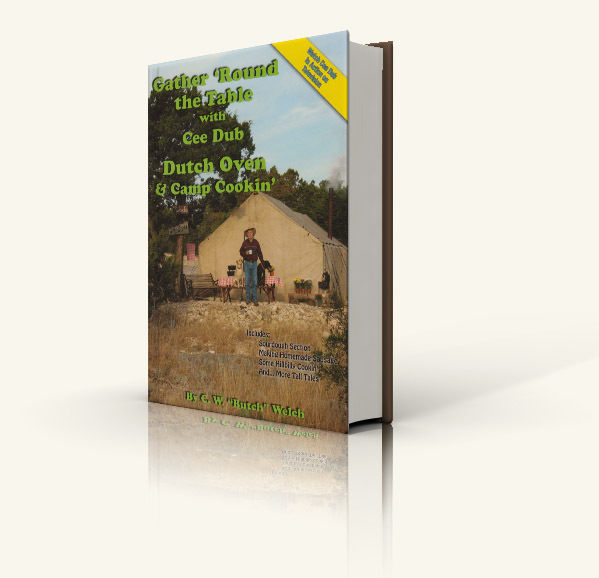 The fourth book in Cee Dub's series of Dutch oven and outdoor cooking cookbooks, Gather 'Round the Table with Cee Dub, takes Dutch oven and camp cooking to new levels. With more recipes than his previous Dutch oven cookbooks, there are sections featuring sourdough bread, sourdough pancakes, making homemade sausage, and hillbilly cookin'. In addition he tells folks how to upsize and downsize recipes for different Dutch ovens. The "Words of Wisdom" Cee Dub includes make outdoor cooking easier and more fun. Along with great camp recipes such as Cilantro Slim's Peach Cobbler, Dill Salmon Chowder, Cilantro & Lime Sweet Potatoes, Ice Cream Pancakes, Sourdough Chicken Fried Steak, and Pen's Dutch Oven Lasagna, Cee Dub added even more of his stories and tales to spice things up just a little more! Along with more new Dutch oven and outdoor cooking recipes this Dutch oven cookbook has sections on making homemade sausage, making sourdough bread and pancakes, and a special section on hillbilly cookin'! Cee Dub's easy to understand techniques make learning how to Dutch oven cook quick and fun. Sandwiched in between Dutch oven recipes and his "Words of Wisdom" are more great outdoor adventure stories. Cee Dub's unique and entertaining style make this cookbook so much more than just a compilation of Dutch oven recipes. 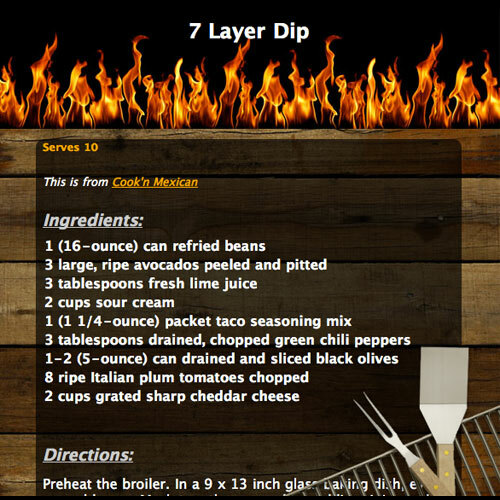 Recipes go far beyond just Dutch oven to include appetizers to desserts.